I am transferring my content from my former page….atlantaluxelashes. Please come to my flawlesslashes.wordpress.com page for future updates! 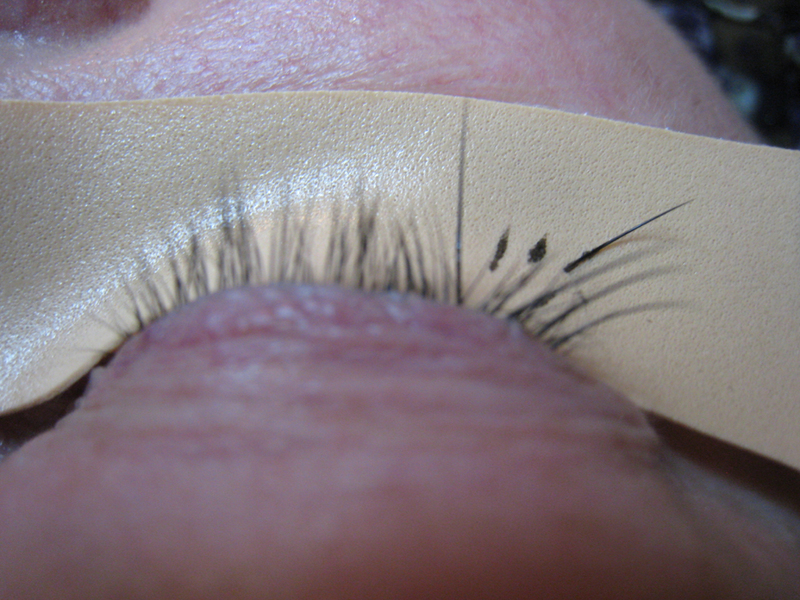 This is a client who uses Latisse. Latisse, and other lash growth products (like Revitalash) work wonderfully in conjuction with lash extensions. As you can see, the Latisse alone just cannot compete with the long, black, curled, thick, lush look of the lash extensions. 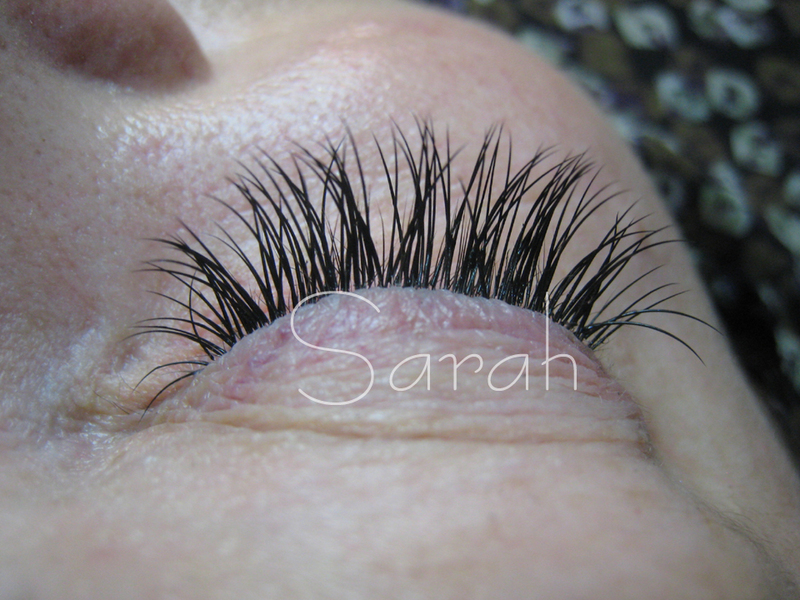 But using them together ensures healthy natural lashes that are great candidates for a nice full set of extensions. This is a great example of how far someone can go with their lashes. I will show you her before, first set, and where she is now. Her natural lashes are actually looking healthy, but I added a mixture of .20 thickness into .25s that she has on. Here is a client who has been getting “flares” or “clusters”. Those type of lashes are glued to the underneath of the lashline and can wreak serious havoc on a person’s natural lashes. She explained to me that the flares were so uncomfortable/painful that she found herself pulling them out and was left with large gaps in her lashes. 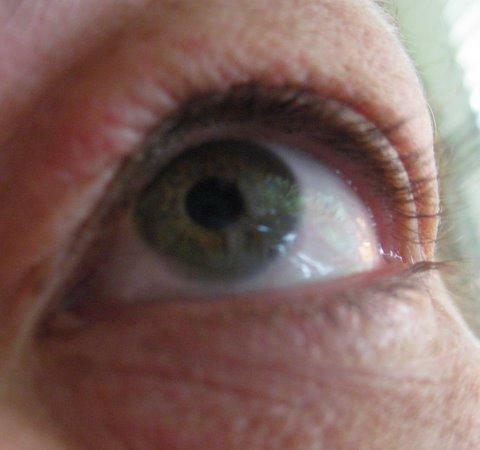 The area towards the middle of the eye is particularly damaged. I applied a set of lashes to her as full as I could and we are going to wait and see if her natural lashes will become healthy again. Alot of people actually do find their lashes to become more healthy wearing extensions due to the lack of touching, mascara, and the mascara removal process. Now this client has soft, comfortable, pretty lashes that are not going to make her own lashes fall out. 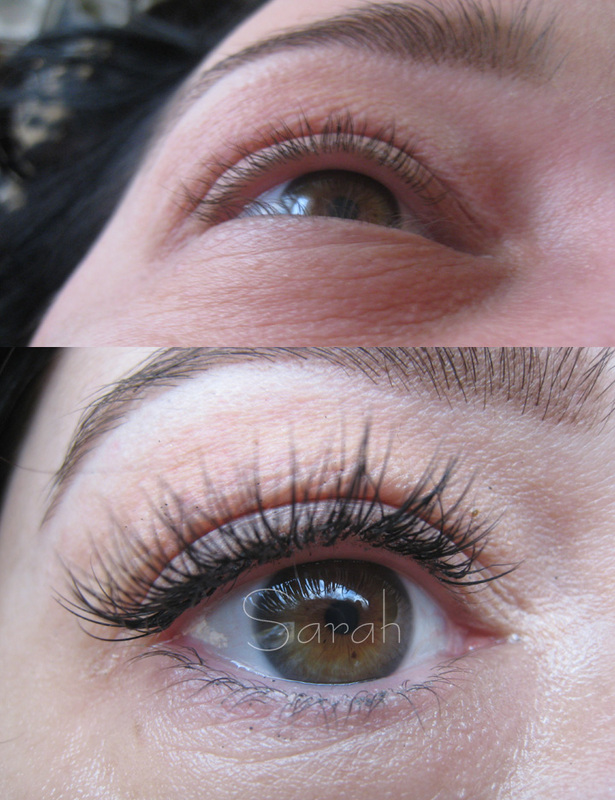 This client is a very busy business owner who desired a very short set of lashes. They still give a little length, but gave her major volume, and the curl is great due to the most Asian eyelashes are very straight. This beautiful client came to me in preparation for her daughter’s upcoming wedding in April. This is her 2nd touch up. I alway reccomend coming in about 4-6 weeks before a very special event. This gives us time to tweek your lashes over a couple touchups to get them to their maximum beauty- highlighting your eye so perfectly. This client’s response to her lashes was that she was thinking of having a little “something done” to her face, but was scared. Now she feels so beautiful and says these lashes were just what shes needed! Please note she has on no liner or mascara at all- as in all my photos. I realized right after I had begun that I forgot to take a before pic! So you can see the tape under her eye… this is so the bottom lashes don’t get stuck to the top or accidently extended. This lovely client came in for lashes right before she went on a trip to the Caribbean! 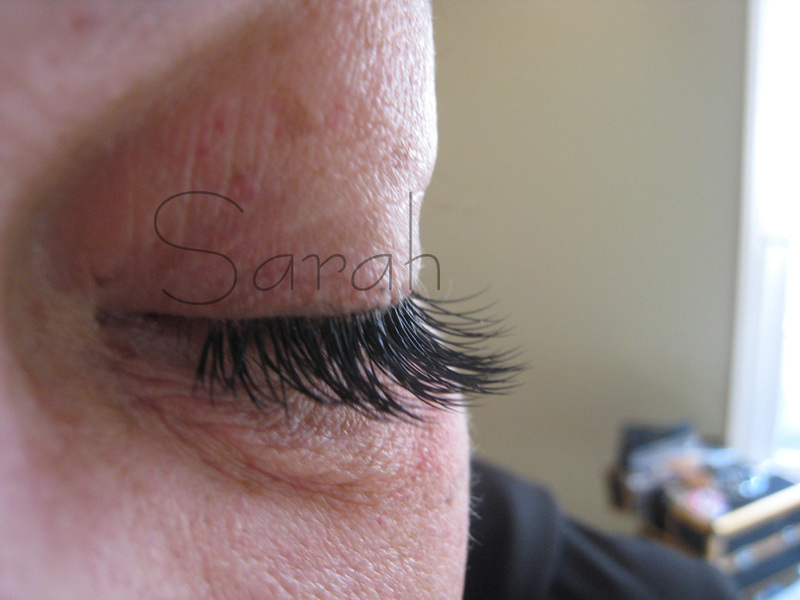 This client came to me due to some problems she has been having with her lashes. For some reason the lashes on her right eye have become very sparse on the inner half over the past year. She has not figured out what is the cause, but lash extensions can be a nice solution. Please note there is not a perfect match from her right eye to left, as it is not possible to get the kind of length and thickness of her healthy lash eye onto the eye with few lashes. You can only have an extension where you have a lash. Though I did do some “bridgework”- adding extra extensions on top of others to give the illusion of lashes where there are none. We are looking into lash growth products as an option to help rebuild the area of loss, which will then give us more healthy lashes to attach some nice extensions to. This client also expressed to me that without alot of mascara she feels she just disappears. Not anymore! 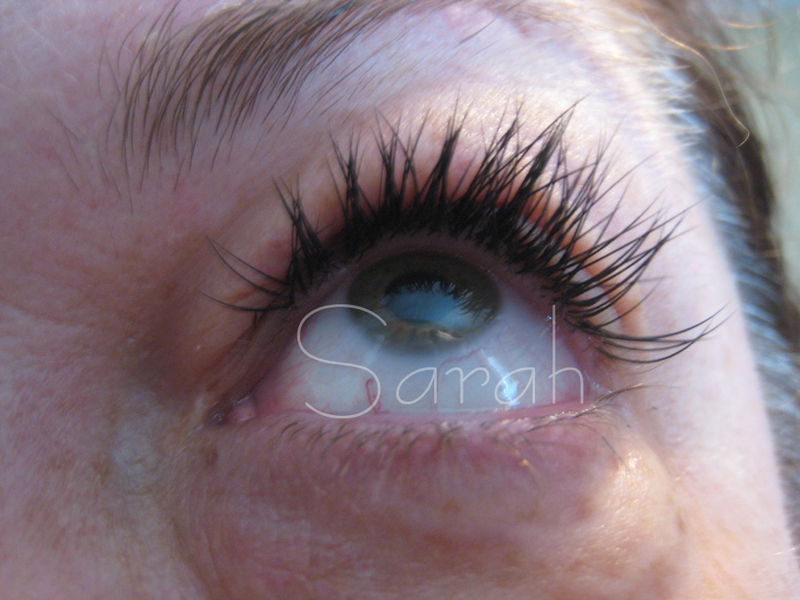 This client is a very special lady who wants her lashes long and thick as possible. I put the longest lashes I have on her. Surprisingly they don’t look incredibly long. She is someone who can carry alot of lash and it just looks great on her! This entry was posted in Eyelash Extensions and tagged atlanta, beauty, eyelash, Eyelash Extensions, eyes, flawless, glamour, lash, lashes. Bookmark the permalink.